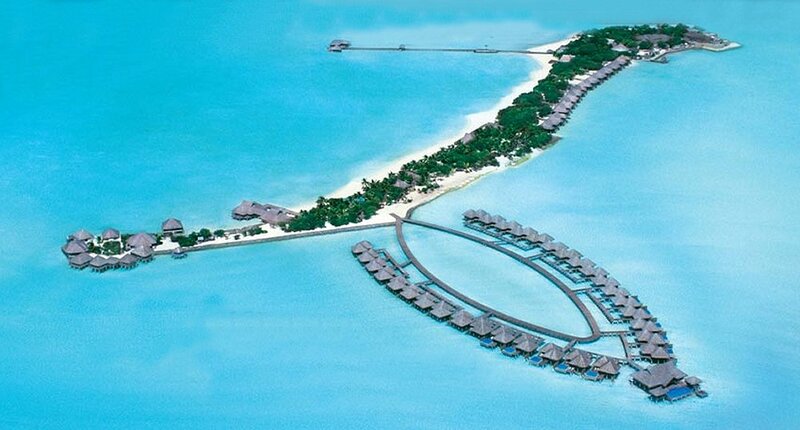 Photo copyright Taj Exotica Resort. Part of the renowned Taj Hotels brand, Taj Exotica Resort & Spa Maldives is an exclusive, private and romantic island resort. Incredible rooms and a choice of gourmet cuisine, water sports, and recreation make for a complete and exclusive destination. The resort is a Member of The Leading Small Hotels of the World. The resort is only 15 minutes by a private luxury speedboat, available 24 hours, from Malé International Airport. Most of the resort's luxuriously designed villas are perched over the lagoon with nothing but blue ocean waters and glorious sunsets to block the view. Only a wooden ladder separates you from a refreshing dip in the lagoon. Then you can climb back up and begin a tropical makeover as the sun warms your skin. All the villas are palm-thatched, built of finest natural wood finishes on the exteriors and the interiors are delightfully appointed in classic Maldivian style. The villas offer sundecks, and some offer private plunge pools, outdoor showers, verandahs with day beds and private spa rooms. Dark woods, rich textures and vibrant accessories make the time you spend indoors just as beautiful as the time you spend swimming with dolphins or gazing into the infinite horizon. Our spa experiences are offered by trained experts using exclusive natural products in a fresh and harmonious setting. Signature Jiva Grande Spa experiences bring guests the essence of traditional royal wellness and therapeutic experiences.